The number of businesses are increasing in the world due to the profit margins and economic growth in the developing countries. With this increasing numbers, the ERP solutions are also becoming the part of business organization to enjoy rapid development and proper documentation of the business activities within the organizations. 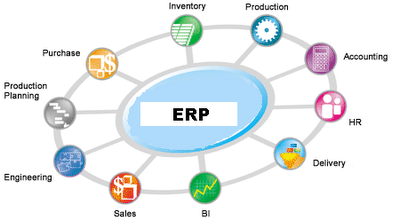 Now the question arises which companies should adopt an ERP system immediately as sometimes, you cannot manage the requirements of this system without allocating some budget to it. To answer this question, we need to coordinate with some of the experts who have spent some time in the field. Some of the ERP solution providers in UAE like BTC provide expert opinion to the organizations for making their minds about the documentation of the business. When we talk about a flexible Sage 300 ERP in Dubai solution, it means that it can cover a wide range of industries in which distribution, nonprofit, service and production companies are included. In these companies, there are two types of business which are new startups and the established organizations. Another category of the businesses is according to the sizes of the business which start from a small scale organization and after that, there are mid-sized and large scale organizations. The flexibility of these ERP solutions makes the lives of the business owners and higher management easier. When we talk about new startups, these people are fully dedicated and sincere with their mission. They are focused and want to do something for establishing themselves as a brand. For these companies, ERP can be a source of inspiration as it is smart, logical and up to the mark of providing solutions related to finances, operations, distribution and all other internal business situations. It is highly recommended for startups to incorporate as they have no proper departments like finance, IT and production, so the ERP system can be wonderful for them. On the other hand, the established companies have a need of ERP system like Sage 300 in Dubai, as they have separate departments so for the higher management, it is not possible to take an eye over all the operations and for that, the best solution is to implement this advanced IT solution within the organizations. For larger organizations, the strategic planning is a must and without an ERP system, it is not possible to implement and monitor so ERP system is essential for these companies as well. Overall, we can say that ERP solutions are highly recommended for the organizations whether these are small or big, new or established and production houses or service providers. Without the incorporation of highly advanced IT systems, it is a very difficult task to run the business operations smoothly and steadily and ERP solutions are the best ones available in the market. If you are looking for some unique and customizable ERP Software solutions UAE then BTC is there to offer you the services. For more contact us.